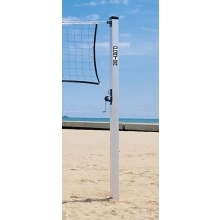 Powr-Sand provides aluminum telescoping standard with a powdered coated handle can be adjusted for top level competition. 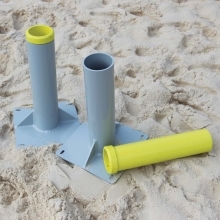 Features allows equipment to remain outdoors year round or remove when not in use. 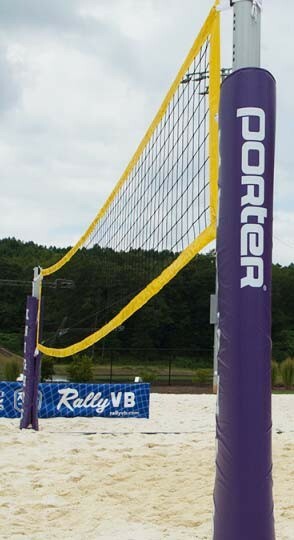 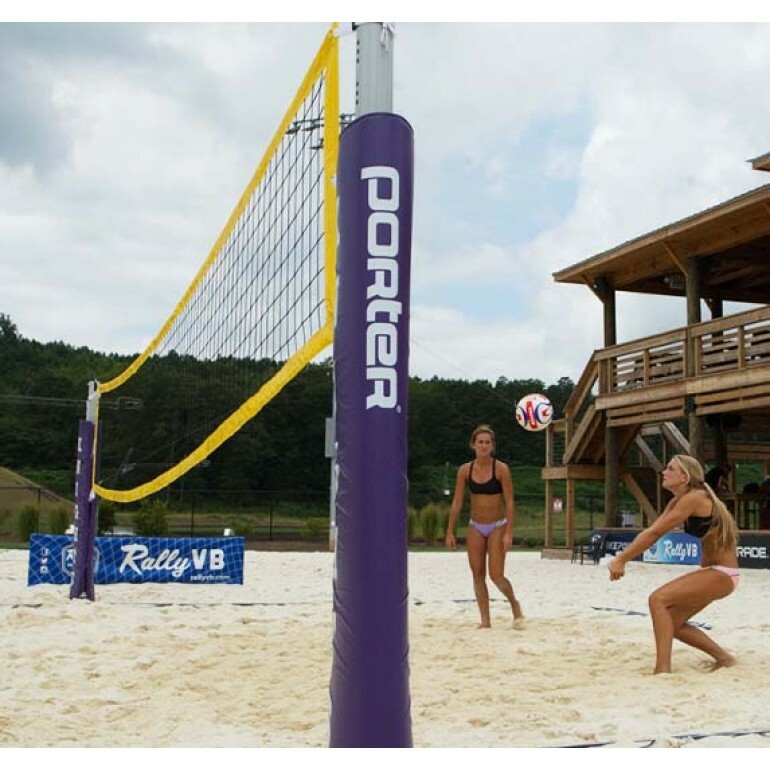 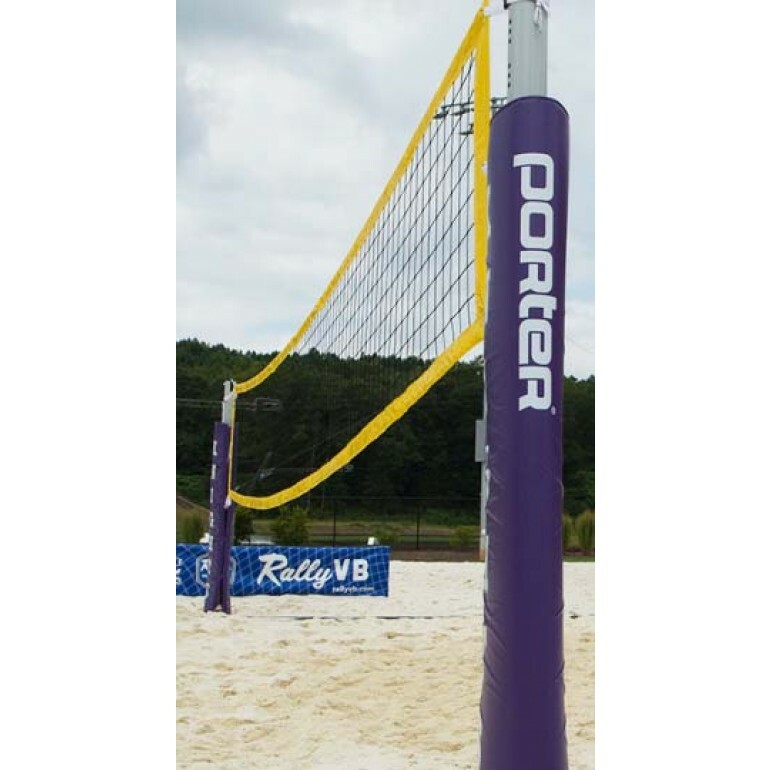 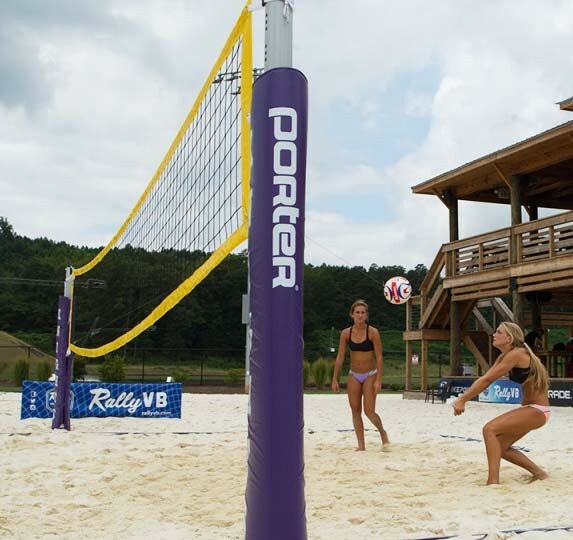 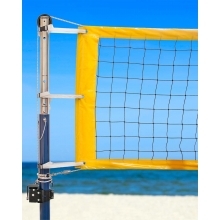 The Powr-Sand Standard Package includes: Powr-Sand Standards (pr), Upright Protective Pads (pr), Outdoor Competition Volleyball Net, Powr-Line Net Antennas (pr), Fair Height Net Chain.